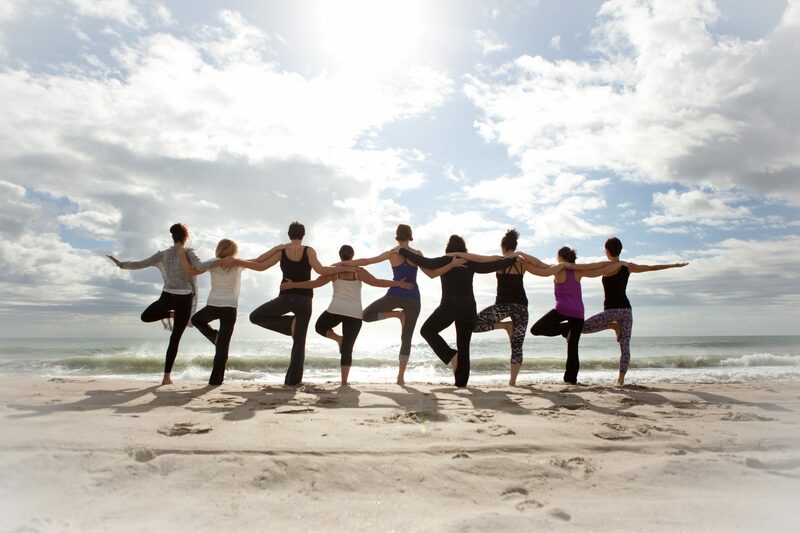 LWYnH is a 200hr Yoga Alliance recognized teacher training launching in 2019. At the helm are co-directors, Dr. Ginger Garner, founder of Professional Yoga Therapy Institute® and author of Medical Therapeutic Yoga© and Jessica Hartmann, both veteran yoga teachers and orthopaedic physical therapists working with chronic pain populations. 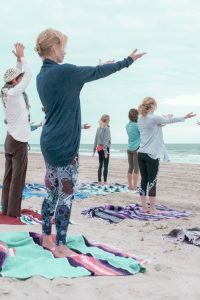 While sequestered on the shores of beautiful Wilmington, NC, you will be immersed in the program during six weekend modules. 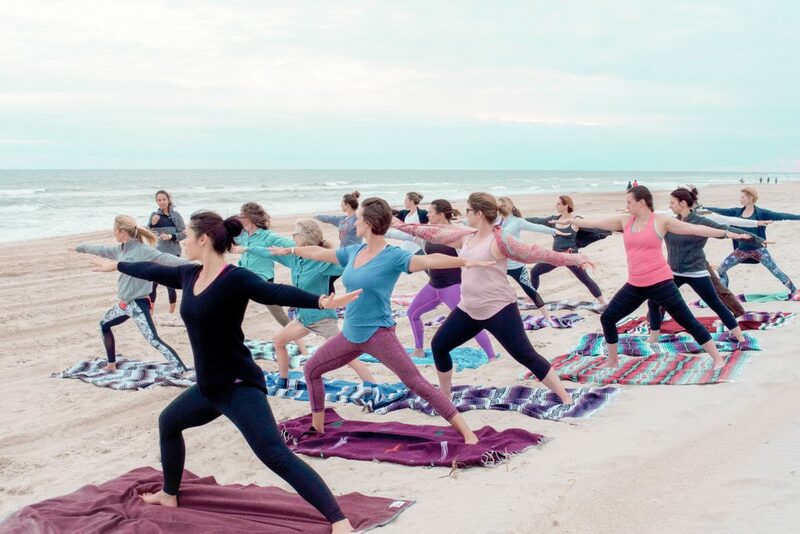 LWYnH Yoga Teacher Training is based upon a multi-dimensional, nondogmatic method of yoga consistent with traditional yoga philosophy and evolved by the scientific evidence-base. 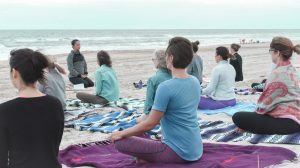 The program is classroom-based, with each module being hosted and held, in the seaside community of Wilmington, North Carolina. 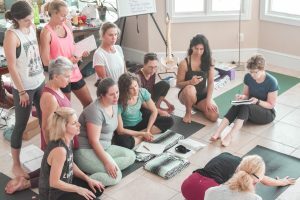 LWynH is a unique program because it offers you the ability to study 1-on-1 with licensed healthcare providers with over 45 years of combined experience in yoga, yoga therapy, medical therapeutic yoga, orthopaedics, chronic pain, and physical therapy. 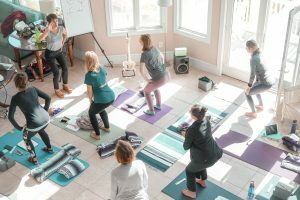 This program, in partnership with Professional Yoga Therapy Institute®, offers an unmatched opportunity to engage and work with healthcare providers well versed in yoga across North America. You will emerge from this training with a deeper understanding of the art and science of yoga as it used in healthcare, including but not limited to neuroendocrinology, structural alignment & biomechanical analysis, psychobiological and neurophysiological foundations, and the implications for Ayurvedic practice, encased in creative, artistic expression that honors yoga’s historic origins. -feel confident to teach safely in any population or environment as well as develop a rich personal practice pursuant to your Dharma. 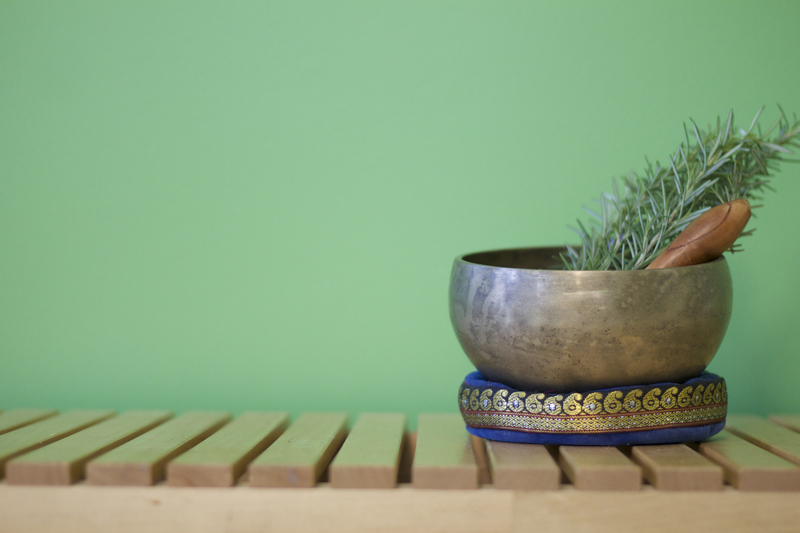 -be prepared, at the 200-hour level, to work with healthcare providers in bringing yoga into healthcare. -benefit from our unparalleled ability to connect graduates with an extensive network of healthcare practitioners to support your future career. Dr. Ginger Garner is a veteran therapist devoted to helping people overcome trauma and pain. 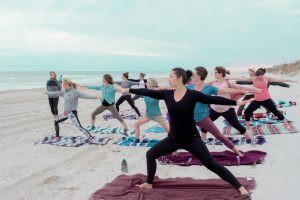 She has spent her 25 plus year career using yoga as therapy and training healthcare professionals to use yoga for both medical and self-care. 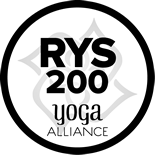 Dr. Garner is the founder of the Professional Yoga Therapy Institute®, an international, interdisciplinary medical yoga therapy certification for healthcare professionals. healthcare, improved access to physical therapy, and social justice for mothers. Jessica graduated from the Physical Therapy program at Duquesne University in Pittsburgh, PA. She began her PT career with a focus on Osteopathic Manual Therapy and she is now the owner and operator of Integrative Rehab and Wellness, Inc. Jessica is grateful to have the opportunity to combine Medical Therapeutic Yoga with manual therapy. She specializes in treating back and neck pain, sacroiliac joint dysfunction, sciatica, musculoskeletal issues, chronic pain, fibromyalgia, migraines/headaches, anxiety, arthritis, and TMJ. In addition to private practice, Jessica serves as part-time faculty at the University of North Carolina Wilmington in the School of Health and Applied Human Sciences. She also teaches anatomy in various 200 and 300 hour yoga teacher trainings in NC, SC, and VA.
Medical Therapeutic Yoga – Garner, G.
The Yoga-Sutra of Patañjali: A New Translation and Commentary- Feurstein, G.
The Bhagavad Gita – Easwaran, E.
Nonviolent Communication – A Language of Life – Rosenberg, M.
The Real Wealth of Nations – 2nd Ed. – Eisler, R.
Atlas of Human Anatomy – Netter, F.
LW YnH is the premier teacher training for using yoga in healthcare in the United States. 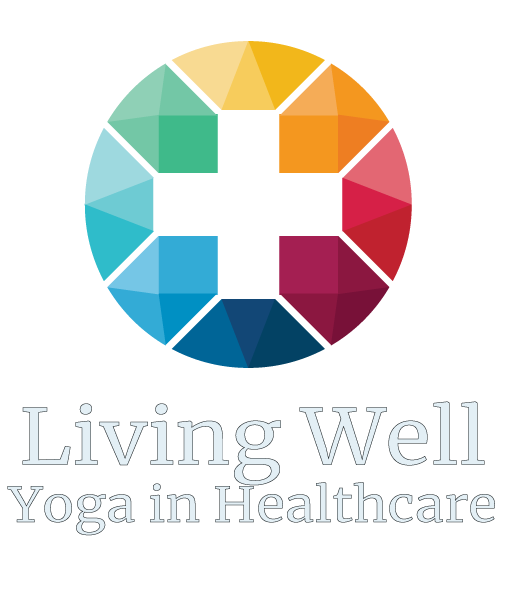 Written and taught by veteran licensed health care providers who have used yoga successfully and safely for more than 45 years combined.